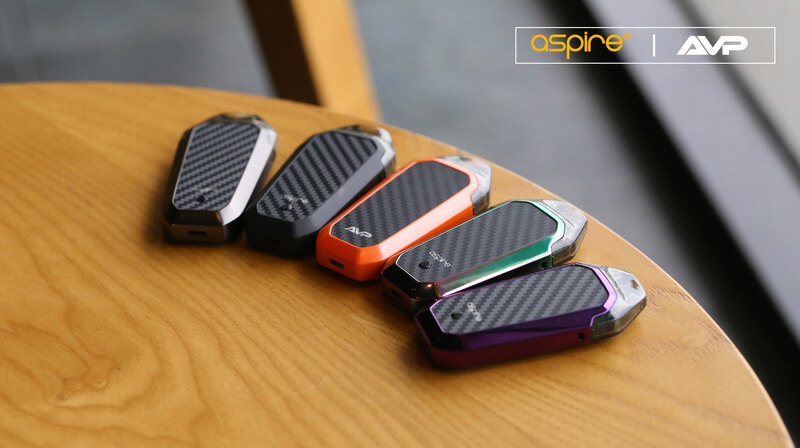 Aspire AVP All-In-One Kit - Aspire Vape Co.
With a built-in battery capacity of 700mAh and a coil resistance of 1.2ohm, there should be enough power to last all day, depending on your style of vaping, and the power output selected. The 2.0ml capacity pod is held in place into the main body of the AVP kit with magnets, and the 1.2ohm coil is set fixed into the bottom fill pod. The Coil is not replaceable/removable. 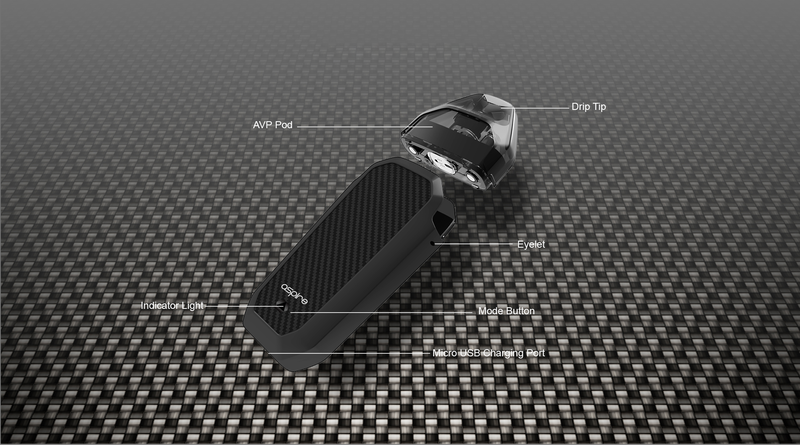 However, Aspire includes a spare pod in the kit, and more replacement pods are readily available from Aspire. The AVP Kit comes in five fashionable super colors to suit all tastes: Black, Grey, Purple, Rainbow, and Orange. 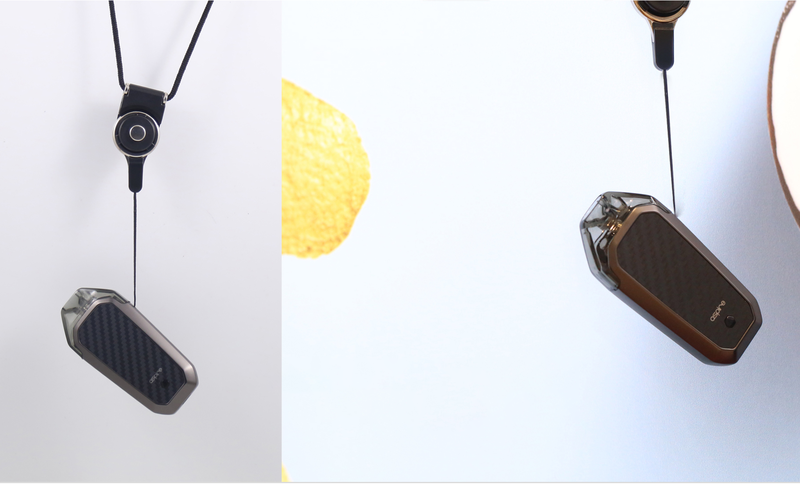 It has a slim yet attractive angular shape that is ergonomic and fits well in the hand. Although slim, light, and pocketable, the AVP also comes supplied with an easy to fit lanyard feature reducing the chances of losing your AVP device. 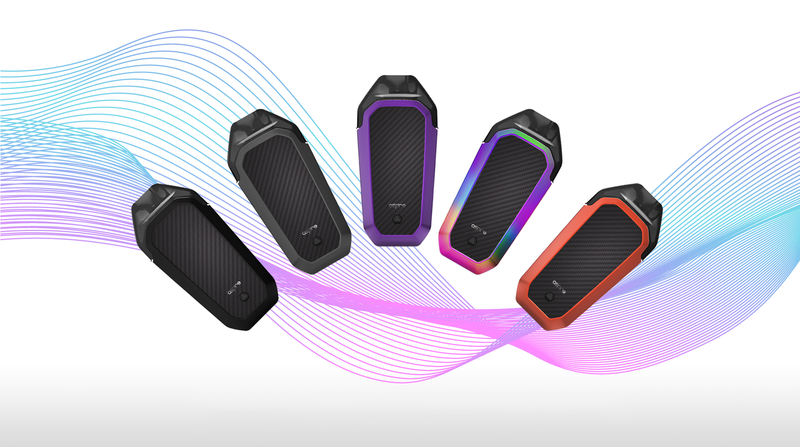 The Aspire AVP kit comes with all the safety features that Aspire is famous for. Leaving you safe in the knowledge that Aspire has your protection in mind at all times. The replaceable AVP pod has convenient bottom leaf free filling. Just remove the magnetically attached pod from the device and invert it to reveal the spring-loaded leak resistant valve. The AVP pod accepts most types of filling bottles. Once filled the pod magnetically clicks back into place in the device. Note: For first use, after filling, we recommend letting the device to stand for at least 5 minutes to saturate the cotton. Charge via MicroUSB port. 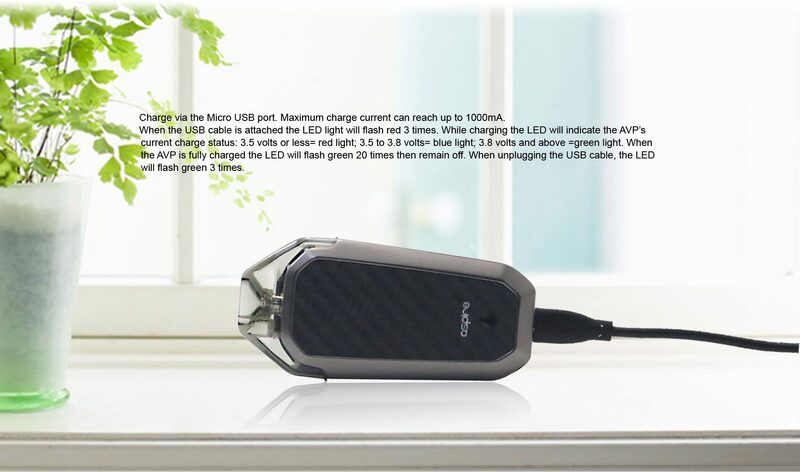 Maximum charge current can reach up to 1000mAh. When the AVP is fully charged the LED will flash green 20 times then remain off. When unplugging the USB cable the LED will flash green 3 times.